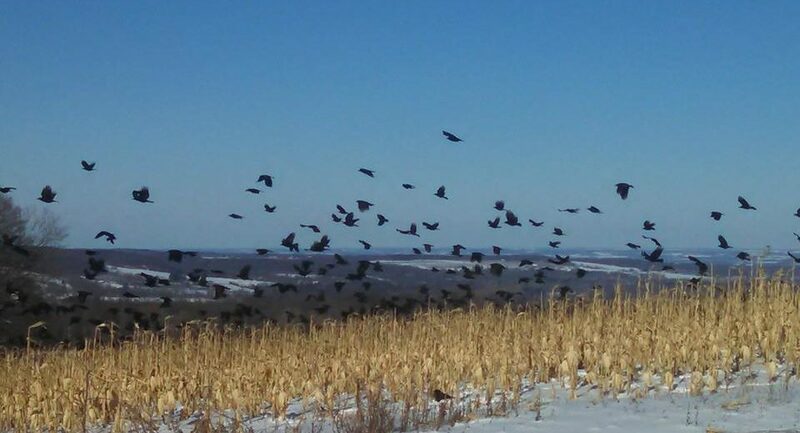 When last I wrote of the crows, they (and the starlings and blue jays) were nibbling on stale whole grain Cheerios and left over popcorn. 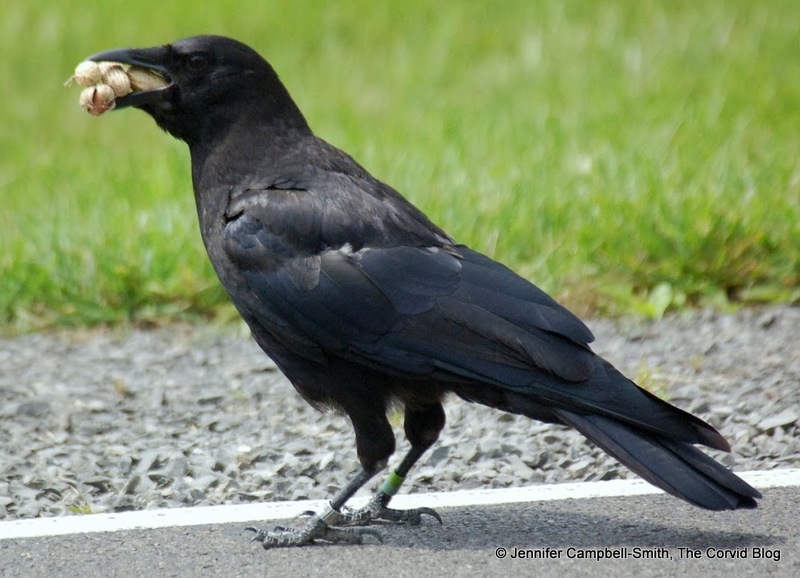 I’ve been doing more research on my favorite bird since then and quickly learned that not only are they keen on in-shell peanuts, but dog and/or cat kibble. When grocery day came, I bought both and hoped for the best. If it didn’t work, I’d only be out about $10. For nearly a week now I have been putting out 8-10 in-shell peanuts and a handful of dog kibble in the same place I’d put the popcorn and Cheerios, the side lawn just beyond the regular bird feeders. Consistency is important and I hoped that the crow family would eventually come around again. When I heard the crows nearby in the morning as I was packing my lunch for work, I’d put the food in a plastic dish and shake it to make noise as I walked out to the feeding spot. I could tell SOMETHING was eating the peanuts as the shells would be cracked and scattered, but wasn’t sure what. This morning, it was business as usual. I heard the *caw-caw-caw*, went and got my little dish and headed out. Within ten minutes, one of the crows had arrived. He was very, very wary – doing a little side step shuffle thing before grabbing one of the peanuts, hopping back quickly, then carrying it out a bit further into the lawn to crack it open. He came back time and time again though, taking some kibble then a peanut each time. Eventually he was joined by another crow who seemed a bit less timid. Of course, by then, most of the peanuts were gone, but it looked like he found one still left as well as noshing on some of the kibble. I’m very excited about the progress. At least now I know that they know the food is there and I will continue with my efforts to make them my friends.